In last week’s Vlog, you saw how we came to pretty much take over our friends’ kitchen renovation. But the short version is after we withdrew from the flip house, it felt like another disappointment. Another roadblock and we were feeling pretty down–even though it was the right choice. 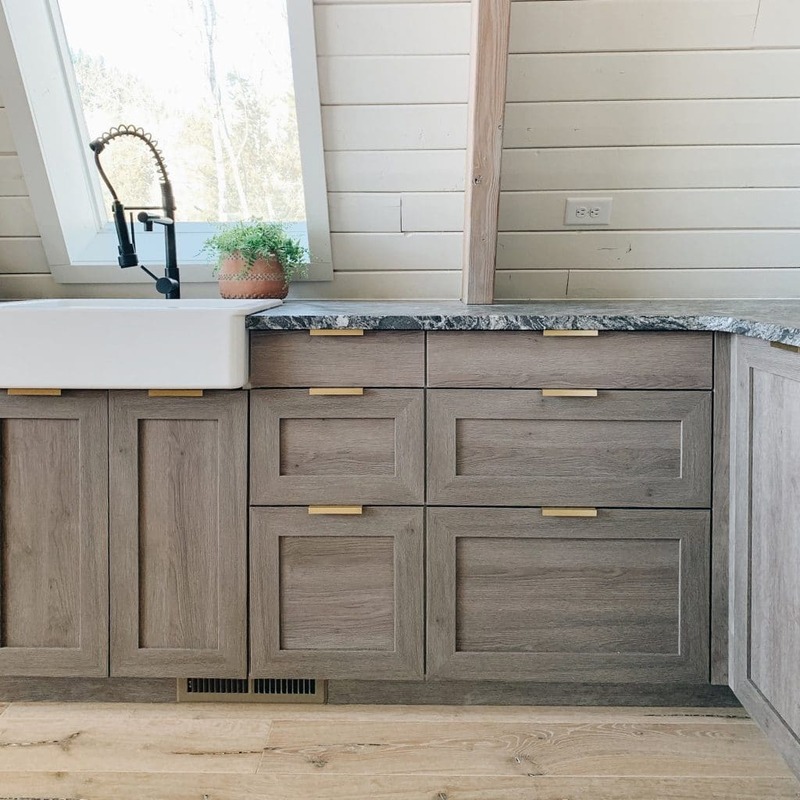 The other thing that attracted us to the project, besides knocking down walls and extending cabinetry–it’s going to be so good–they were already planning on using the Cove cabinetry (a beautiful light wood) from our Semihandmade line for their island and pantry wall! 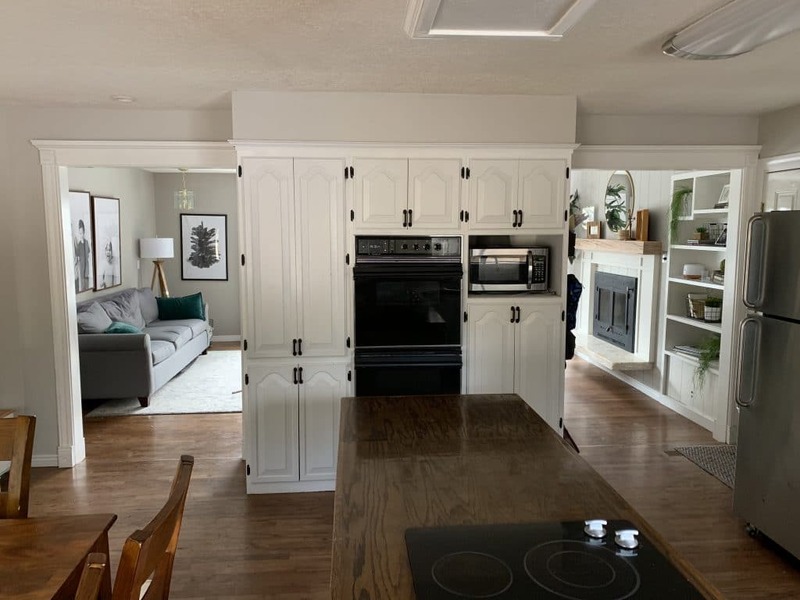 You see, the finished kitchen at our cabin, with the Dusk doors from our line, was supposed to be in every magazine and plastered over the press to really push and celebrate our cabinet line. Obviously, we never got finished or take any official after photos. So we’re treating this as that kitchen. A celebration of our cabinet line. A redemption story. A way to help our friends before their 4th child arrives. A way to get our creative juices flowing again and to get our DIY hands dirty. A rescue effort for a childhood home and for us, too. 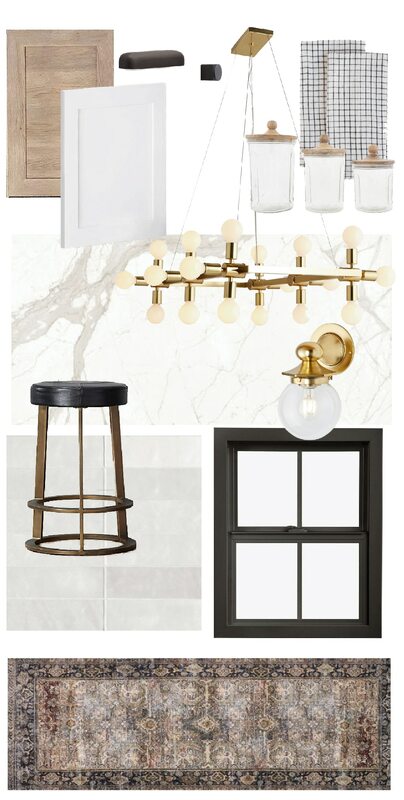 The other day, Jordan said, “Jules, you seem happy lately.” And Chris chimed in with, “I think it’s because she’s designing the kitchen.” And I think he’s right. I feel rejuvenated. 6. Cloe Tile in White from Bedrosians (this is the same tile we were planning on using in the cabin kitchen and it’s too gorgeous not to. 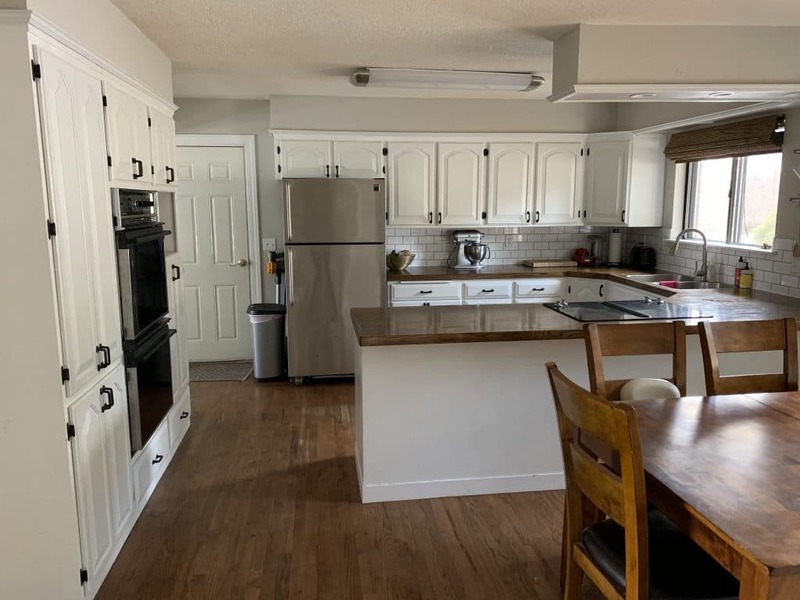 We start demo this weekend and are still trying to decide on appliances–eeks! And with a hard deadline of May 4th–they are hosting a large family get together that day–we’re excited to share the process as we go. More on the new layout plans next week! Hi, Julia. I just wonder to see the Fullmer kitchen and it’s really bigger and well decorated. I really enjoyed the ideas. Thank you for sharing the ideas and hope to see more good work like this. Do you mind sharing the undertones of all of your clj semihandmade cabinets? What are the undertones of the CLJ Cove cabinet, if you don’t mind me asking? This looks so great! I can’t wait to follow along and see the new layout. We have that McGee and Co rug and it’s just GORGEOUS in person. This kitchen is going to be beautiful! Will you keep the wood countertops? We’re they happy with the wood? I’ve always believed that action alleviates anxiety (or any other heartache). This is a terrific project for all involved. Yay!!! In the middle of planning a kitchen remodel perfect timing!! Also stuck on appliances and can’t wait to see what you come up with…. loving a white fridge (like the cafe line or kitchen aid) but not sure what to do about the range – like the duel fuel option, but can’t find a matching one. Can you mix and match brands and/or finishes? Open to anyone’s thoughts/ suggestions too! As far as kitchen appliances I think the GE Cafe line of appliances and the Kitchen Aid appliances are both have really good clean lines and would look great !! That’s a super short timeline for the kitchen !! Wishing you a happy kitchen remodel !! Love that you all are using your project skills and doing these remodels for others in your community !! Love love love it !! i can’t wait to see this! this may sound pretentious and i don’t mean it to be callous, but i’m LOVING the shift in projects the cabin forced you guys to make. i love to see your taste and talents in other homes since we all know yours so well (and your main house is almost finished)! I love these room renovations you’ve been doing lately! Looking forward to more to come. Can’t wait to follow along with this. 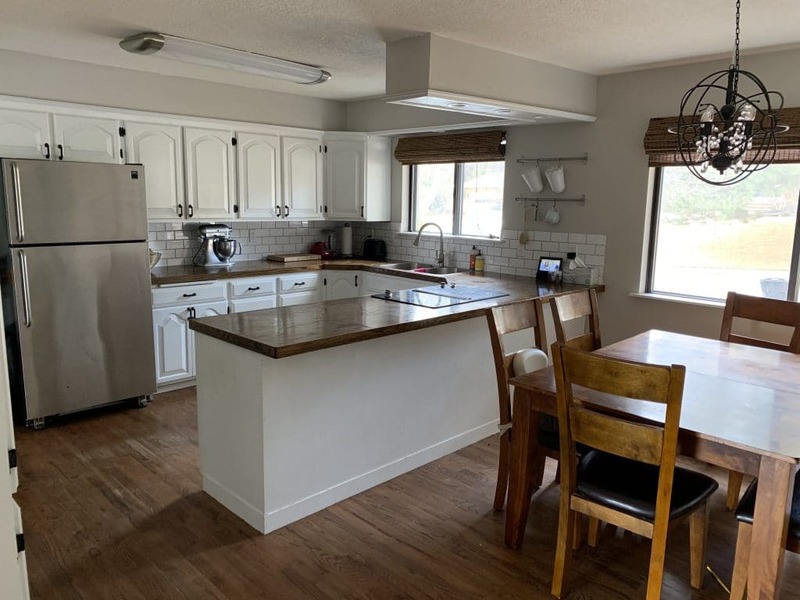 I’m especially interested in what you do with the soffit in the kitchen, as I have a similar set up and have always wanted to DIY the demo on it but have been too scared to try…would be great to see what you do! Also love the window choice…but am finding black windows come at a major premium (why?!?!?!) 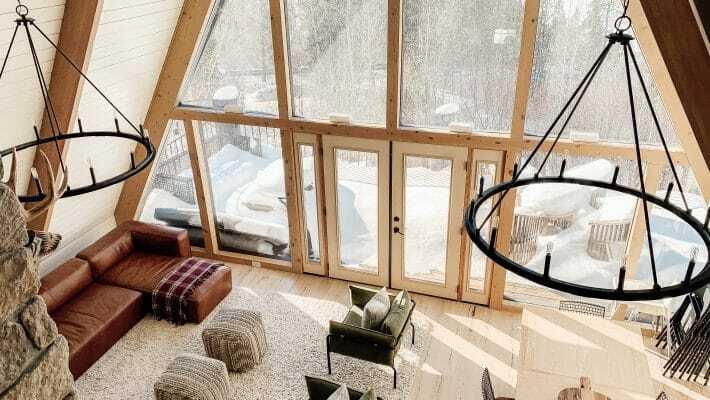 would be awesome to see if you can find a budget friendly black window! Ugh, this mood board looks SO. GOOD. I can’t wait to see how the kitchen turns out, and I’m so happy this is bringing you both so much joy! Really appreciate your honesty here! Is it bad that I don’t mind the before photos?! Looking forward to seeing the “after”! Oh my goodness! I’m also due with a baby in May-just 5 short weeks away-and this gives me anxiety! My husband and I have been remodeling a house with hopes to have been moved in by now. That obviously hasn’t happened and won’t be happening for a while due to contractor timelines. I love following along a good remodel and have no doubts this will be a good one. Are your friends presenting you with their wish list or did you design it yourself? They have us a wish list and inspiration photos and I designed it around that. Cool, guys! I’m looking forward to following this reno. A good kitchen remodel is always fun. One thing I’m most curious about is if the Cove color is going to read pinkish- it looks similar to pickled red oak to my eye whenever I see the sample. Given your history, I hope its not an April fool’s prank you are pulling on them haha! jk..
look forward to the kitchen design process! I love these plans and know that it will look AH-MAZING when you’re all finished! I’m looking forward to this! Will you be drawing a floor plan of the proposed remodel or will it be staying in the existing footprint? Ah! I can’t WAIT to see what you guys do here! 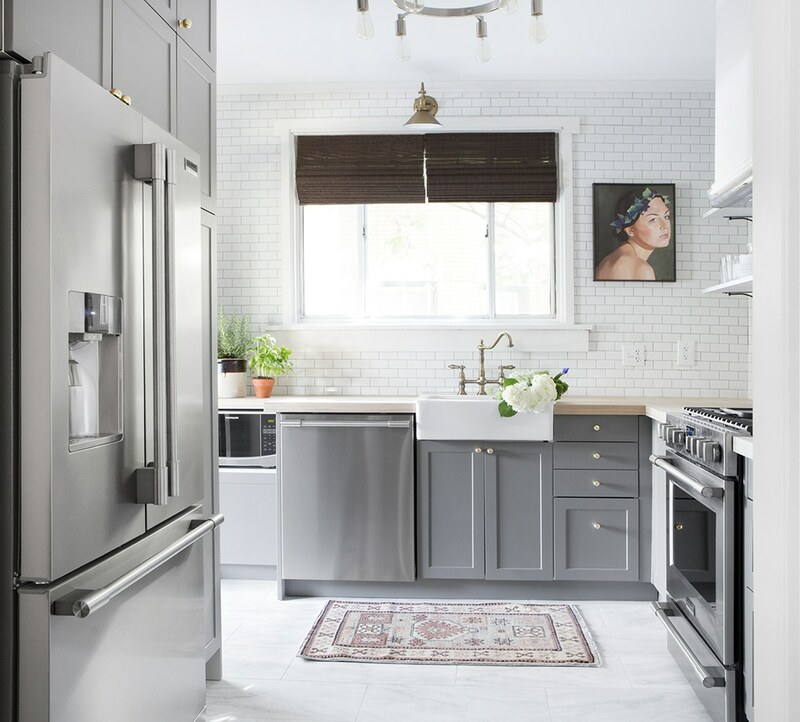 I love a CLJ kitchen – that Pittsburg kitchen is still one of my favorite makeovers of all time. And I love how you guys are making the best of the cards you’ve been dealt. What good friends you are.